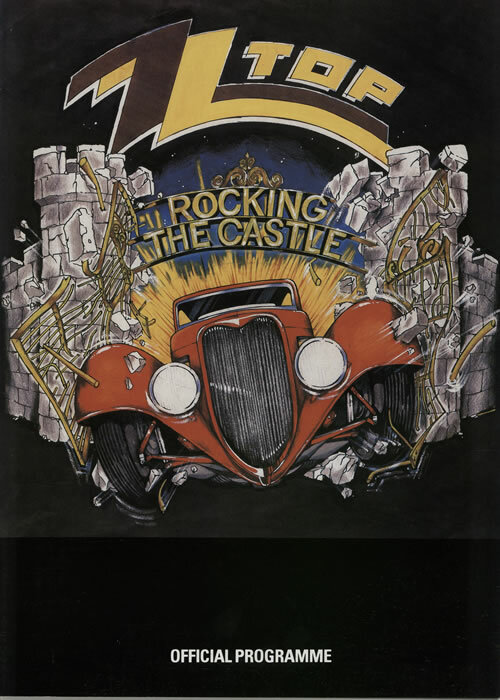 Donington 1985 became “Rocking the Castle” rather than “Monsters of Rock”, presumably because the line-up was a little more mixed than the usual heavy metal fare. Z Z Top returned to the festival after playing third on the bill a couple of years earlier. 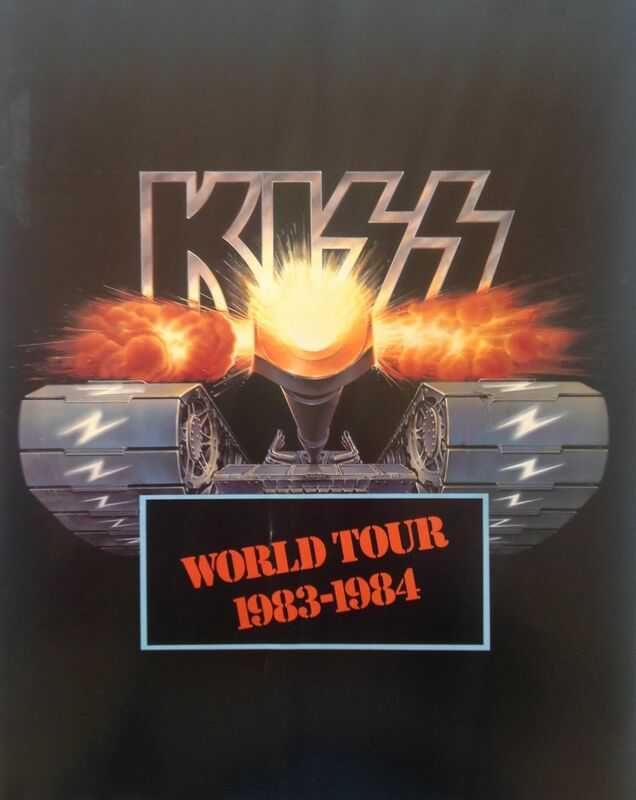 They were joined by a strong clutch of bands including Bon Jovi and Metallica, both of whom who would go on to be headliners in their own right. 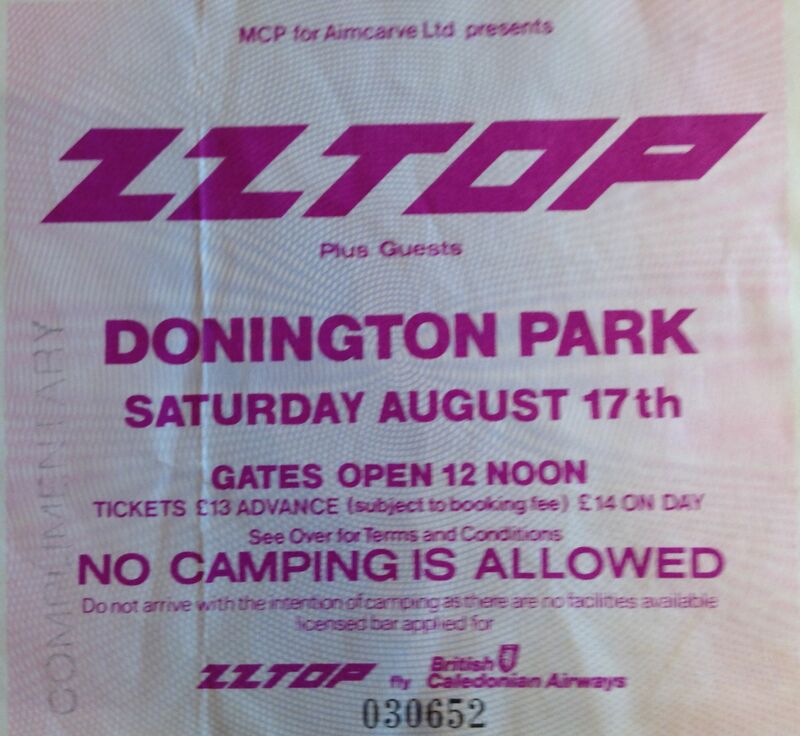 It was a beautiful hot day; one of the best Donington festivals I attended, in terms of the weather. 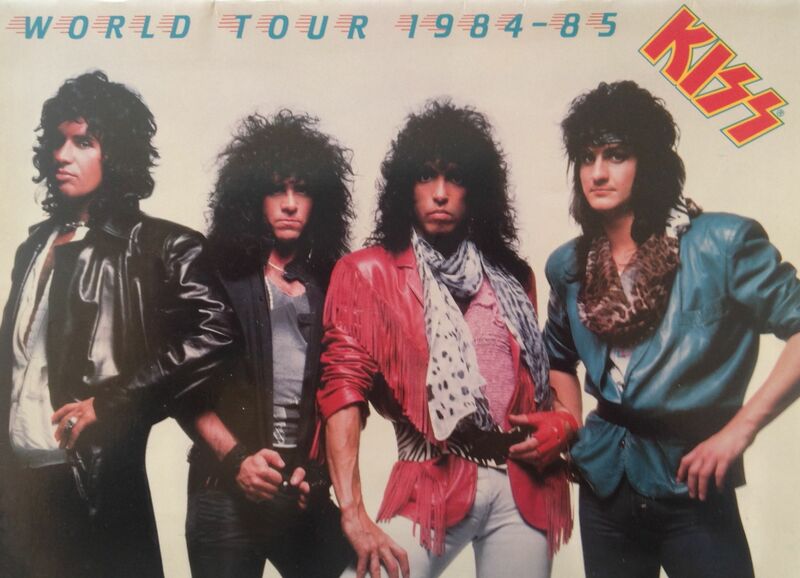 Don’t remember much about Magnum or Ratt, although I have always been a fan of Magnum. Metallica seemed very thrash metal to me at the time; they hadn’t yet developed the subtlety that was to come later. Bon Jovi were amazing; you could just tell that they were going to be massive. At some point during the afternoon the Z Z Top car flew over the crowd, carried by a helicopter; this resulted in a massive cheer, and a hail of bottles and cans, none of which (luckily) managed to get high enough to touch the limo. This was the era of the can fight…. Marillion were the hit of the day, and went down really well with the crowd. They were at the tipping point of their career, having just released “Misplaced Childhood” and with major chart hits “Lavender” and “Kayleigh”. But the day belonged to boogie kings Z Z Top who were one of the biggest acts on the planet at the time, and effortlessly tore the place up with those classic songs, tongue in cheek humour, and unique style. Classic. Z Z Top setlist: Got Me Under Pressure; I Got The Six; Gimme All Your Lovin’; Waiting For The Bus; Jesus Just Left Chicago; Sharp Dressed Man; Ten Foot Pole; TV Dinner; Manic Mechanic; Heard It On The X; I Need You Tonight; Pearl Necklace; Cheap Sunglasses; Arrested For Driving While Blind/Hit It Quit It; Party On The Patio; Legs; Tube Snake Boogie; Can’t Stop Rockin’; Jailhouse Rock; La Grange; Tush. The Stadium of Light is doing a great job of bringing top acts to Sunderland. So far, we have seen Oasis, Kings of Leon, Take That and others all take to the stage in the stadium. 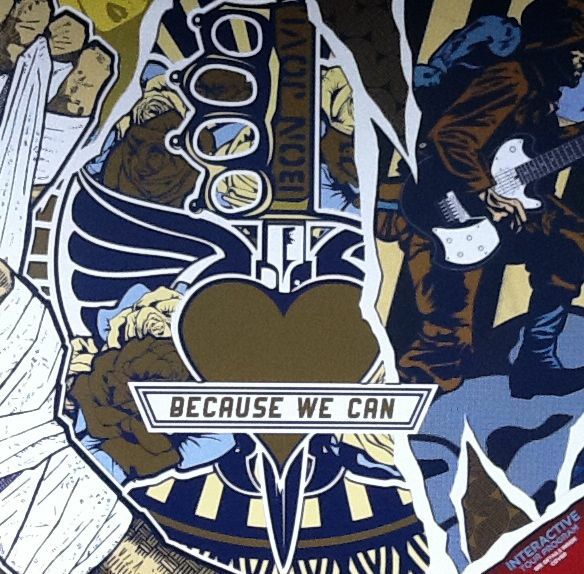 Last night it was Bon Jovi’s turn to rock the Sunderland venue, and the band and crowd didn’t let each other down. 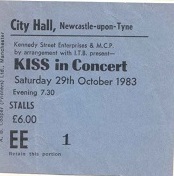 I won’t pretend to be a big Bon Jovi fan; the last time I saw them live was low down the bill at Donington, as support for ZZ Top, and before that it was as support for Kiss at Newcastle City Hall. Still, you have to hand it to these guys, they do know how to put on a show. The stage set up was modelled on a massive fender of a vintage cadillac, a fitting setting for performing songs of the road and the American dream. The Sunderland crowd sang along and cheered, and the weather held out. Support came from local heroes The Futureheads. 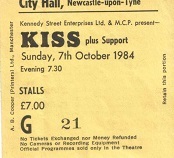 As I said, I can’t pretend to be a fan, Marie and I went along to check the band out and to support the Stadium in bringing rock music to Sunderland. But I must admit I was impressed by Jon Bon Jovi; his stage presence, energy and stamina. The guy is just amazing and had the crowd in the palm of his hand. Setlist: That’s What the Water Made Me; You Give Love a Bad Name; Born to Be My Baby; Raise Your Hands; Because We Can; Keep the Faith; I’ll Be There for You; It’s My Life; I’ll Sleep When I’m Dead; Lost Highway; Runaway; Raise Your Hands; Bad Medicine. Encore: In These Arms; Wanted Dead or Alive; Rockin’ All Over the World; Have a Nice Day; Someday I’ll Be Saturday Night; Livin’ on a Prayer; Always.